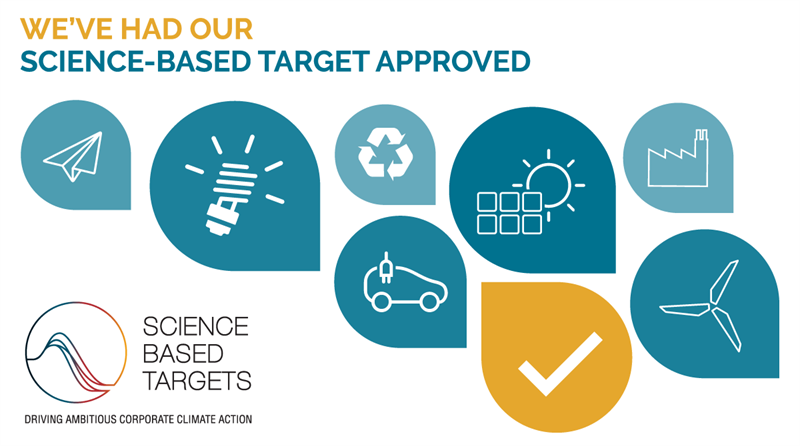 The Science Based Targets initiative is a collaboration between CDP, the United Nations Global Compact (UNGC), World Resources Institute (WRI), World Wide Fund for Nature (WWF) and is one of the We Mean Business Coalition commitments. The initiative champions science-based targets, setting as a powerful way of boosting companies’ competitive advantage in the transition to the low-carbon economy. “Essity’s goal to reduce emissions through the whole value chain has now been approved by leading, independent organizations and it clarifies our contribution to the Paris agreement. To reach our targets, collaboration and innovating resource efficient products and solutions is essential”, said Magnus Groth, President and CEO, Essity. “Congratulations to Essity for their newly approved science-based target, setting them onto a future-proofed Paris-compliant pathway. It’s especially encouraging to see the target covers emissions from Essity’s supply chain and treatment of their products at the end of their life, as well as direct operations. It’s clear this is the future of business and Essity is getting ahead of the curve by setting this kind of ambitious target”, said Alexander Farsan, Global Lead for science-based targets at WWF.